What makes our masonry heaters unique? The core of our business philosophy is that we only produce ‘genuine’ and ‘solid’ soapstone stoves. The distinctive characteristic of our type of masonry heaters is that the hot smoke, which contains by far the largest part of the energy from the fire, is in direct contact with the stone. 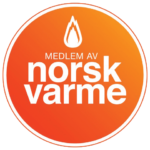 This creates optimum heat storage conditions, about 5 to 10 times higher than in steel stoves that have soapstone claddings. The principle of the hot smoke being in direct contact with the stones which absorb the heat also guarantees the low surface temperature of the stove. Another good thing is that small genuine soapstone stoves also have excellent heat storage properties. However, due to the stove’s smaller heat storage reservior, it should not be fired up too many times in quick succession since the capacity of the total heat that can be stored is less than for bigger masonry heaters. The heat stored in the stones of all our stoves will pleasantly warm the room for many hours. Experience a genuine soapstone stove from us at one of our authorised dealers: ‘touching is believing’! 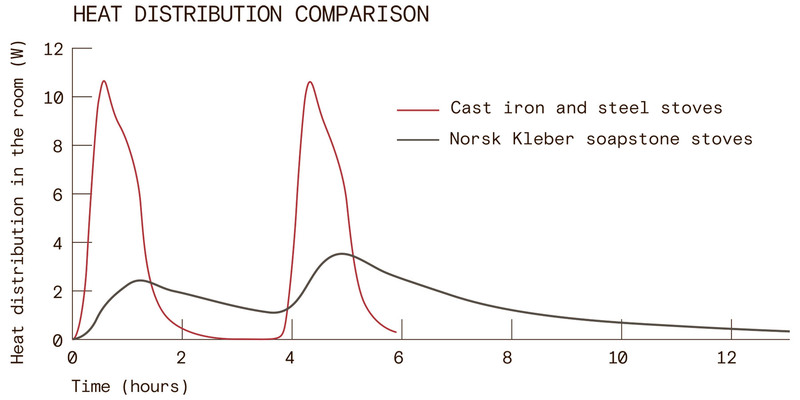 Heat distribution in the room, comparison of soapstone stove with steel and cast-iron stoves.